After joining forces only a year ago, Kid Cupid (Laura, James, Ian and John) are already being compared to huge acts including London Grammar and Young Galaxy. 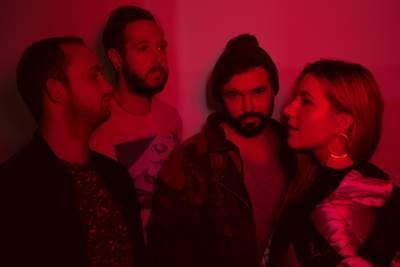 The London-based indie-electro quartet blend gritty passion with pop sensibility, their use of raw tribal drum patterns, angular guitar phrases and innovative soundscapes already establishing them as a captivating live act. Produced by the band themselves, their music features reverent, attention-grabbing lyrics that reflect a sense of angst and social unrest. They have released 3 singles to date (Siren, London Love and Broken Down) and are currently working on their debut EP.